Followings is the Centre of Examinations to conduct the Theory Examinations of B Pharmacy 1st, 2nd and 3rd Semester of Pharmacy College. (Only for the students of Gian Sagar Medical College, Banur )Practical Examinations Center for MBBS First Prof. 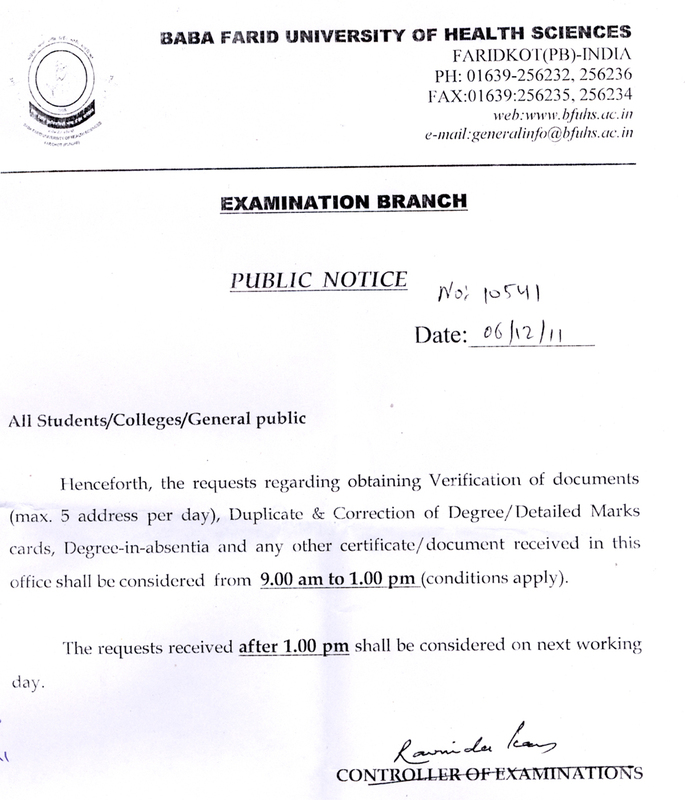 Practical Examinations Center for MBBS First Prof.
MBBS First Prof. Practical Examination Centre. Date Sheet for Super-speciality courses DM & MCh. Theory Examination of B. Pharmacy which were scheduled for 28.8.2017 are hereby postponed. Centre of Examinations to conduct the Practical Examinations of BDS Final Year for the Students shifted from Gian Sagar Dental College, Banur. Centre of Examinations to conduct the Practical Examinations of BDS 3rd Year for the Students shifted from Gian Sagar Dental College, Banur. Centre of Examinations to conduct the Practical Examinations of BDS 2nd Year for the Students Shifted from Gian Sagar Dental College Banur.